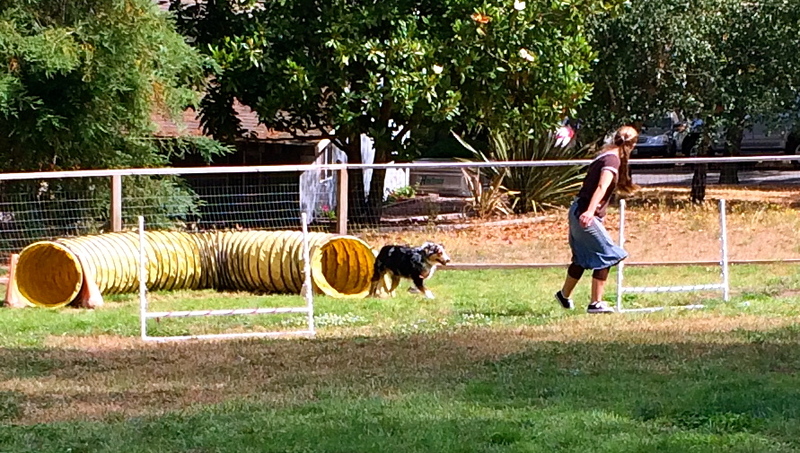 This is a slideshow of Natalie and Marley doing agility training when they first started. Natalie worked with a great trainer for a little over a year. 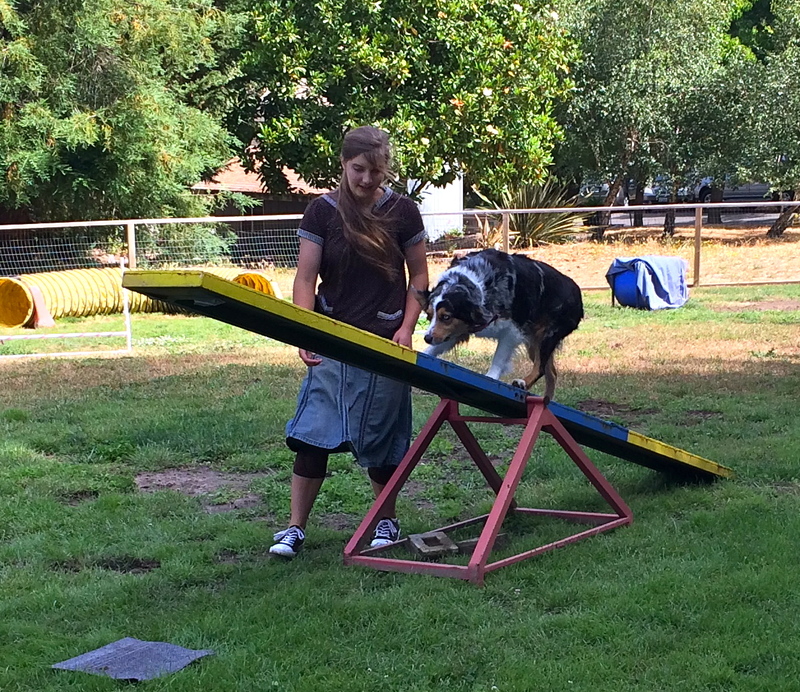 Now she just does it on her own for fun times with her dog. Hi! 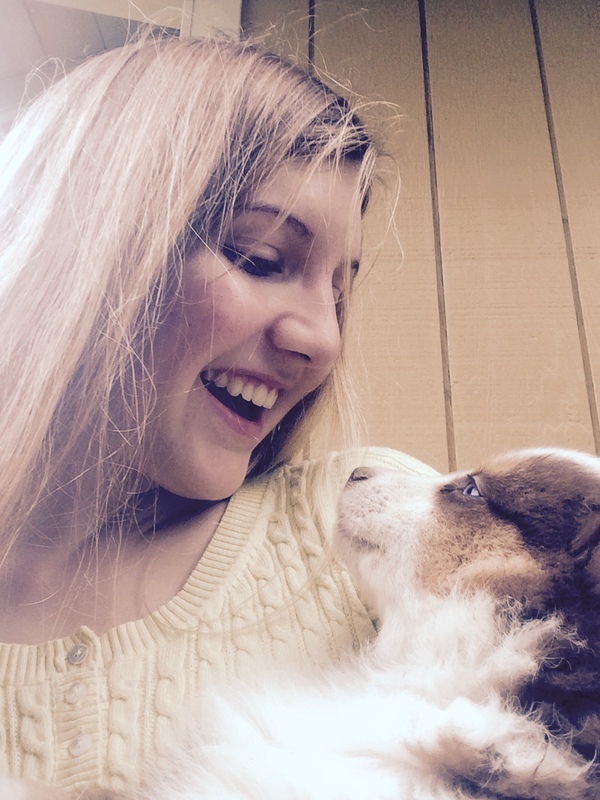 I'm Natalie, and I have fallen in love with all of our puppies here! I am now offering to train your puppy for a week for $125. This will be the last week that the puppies are here (7-8weeks) and includes crate training and basic commands (like sit and down). I keep a crate beside my bed and teach them to sleep through the night. 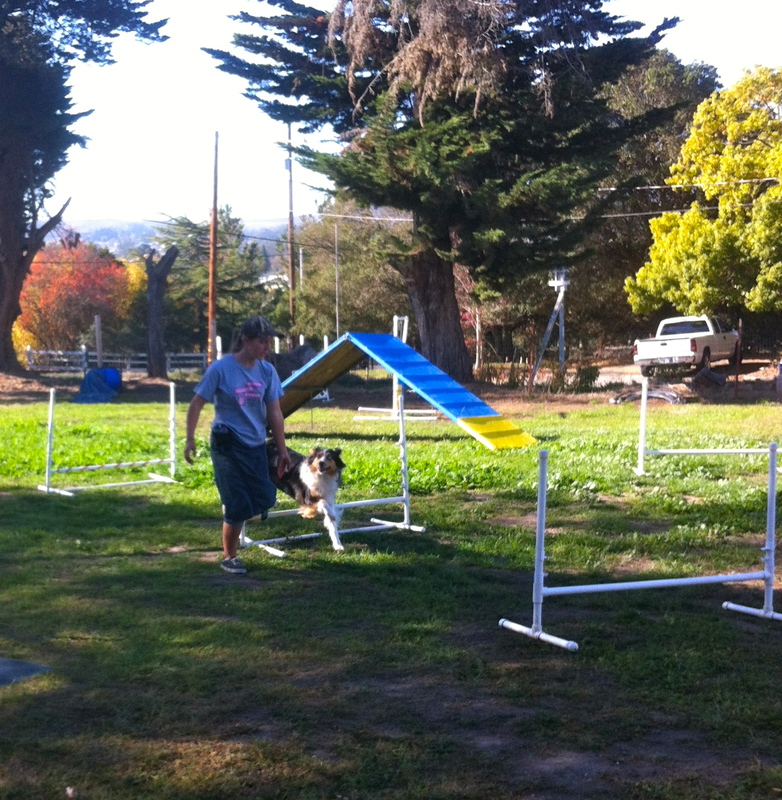 I try to make the experience positive for them and we have loads of fun together while training. If you are interested, please let me know at least a week in advance(by 6 weeks puppy age), so I can start training. 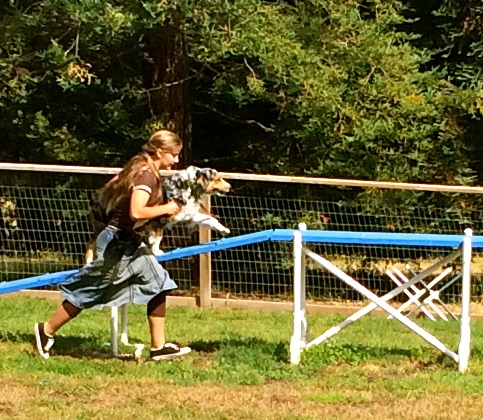 I will also board back our Aussie puppies while you are away. ​​It is $40 a day for boarding. 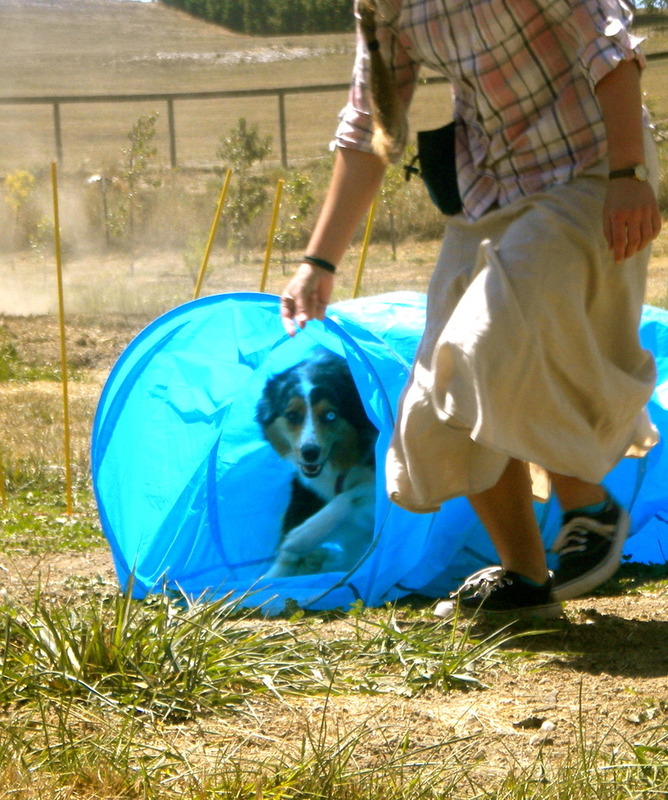 I will have your dog sleep in my room and go out to play in one of our fields throughout the day. 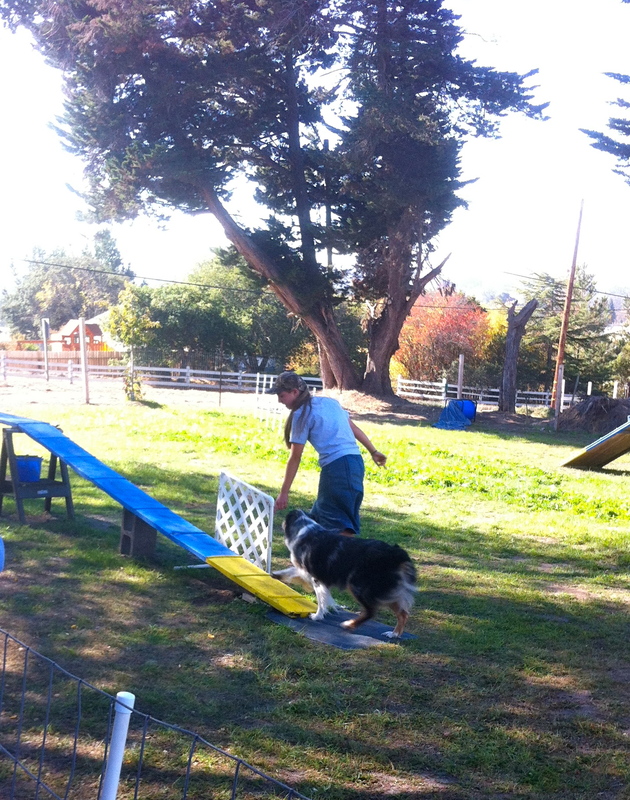 I will work with them on my agility course for $20 for a 1/2hr session. You can use the same email above. 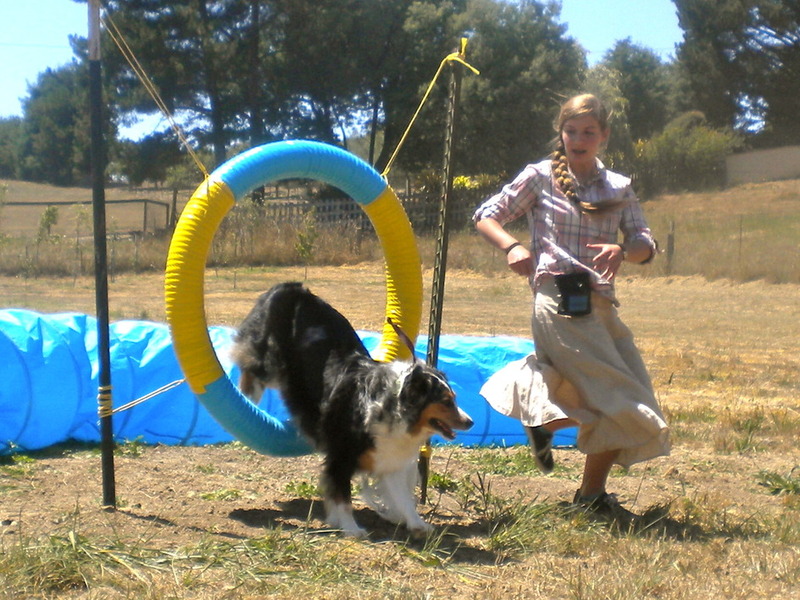 As I have been doing agility training with Marley, I have started setting up my own agility course at home. 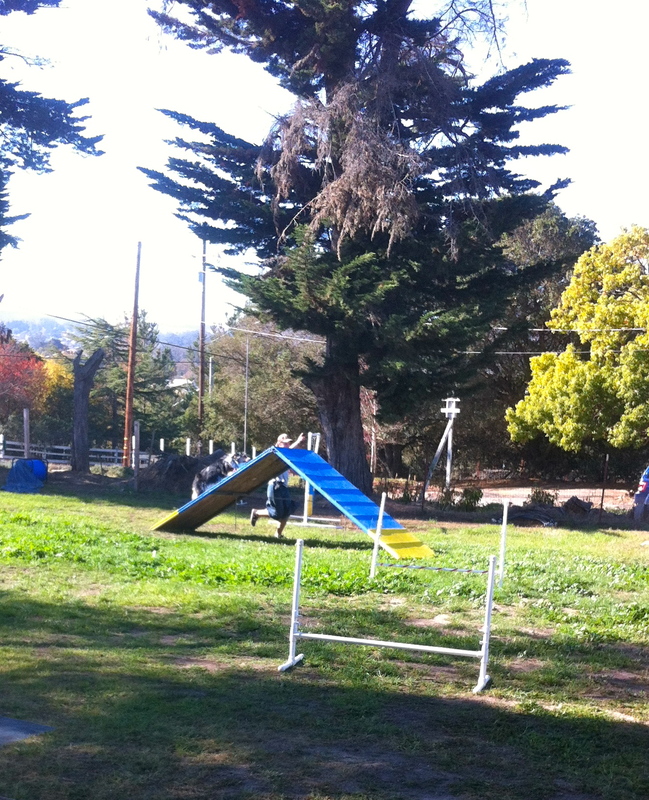 I now have an A-frame, a dog walk and a teeter, along with jumps, weaves, a tire and tunnels. I am now ready to start giving lessons at an introductory level. Let me know if you are interested. 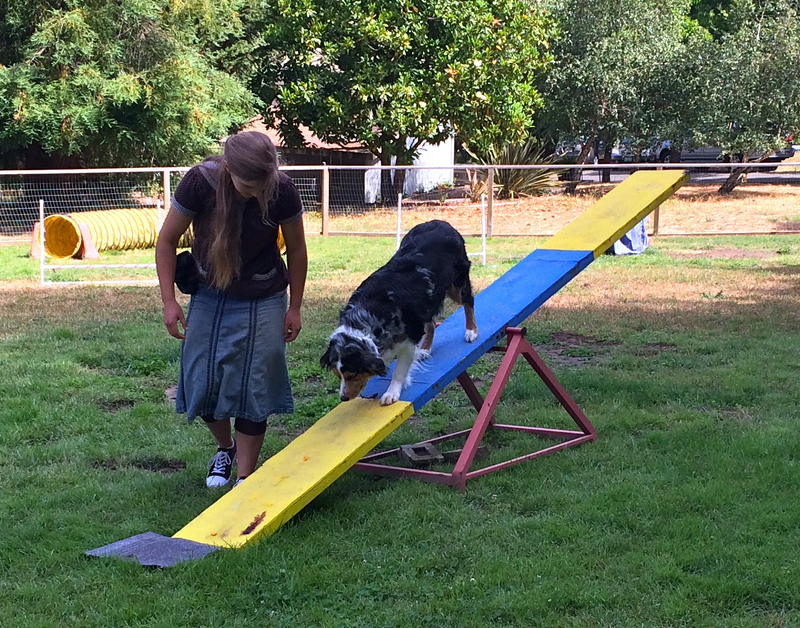 $20 for a half hour private lesson working on my equipment with your dog. I will help you learn the basics that I have learned. 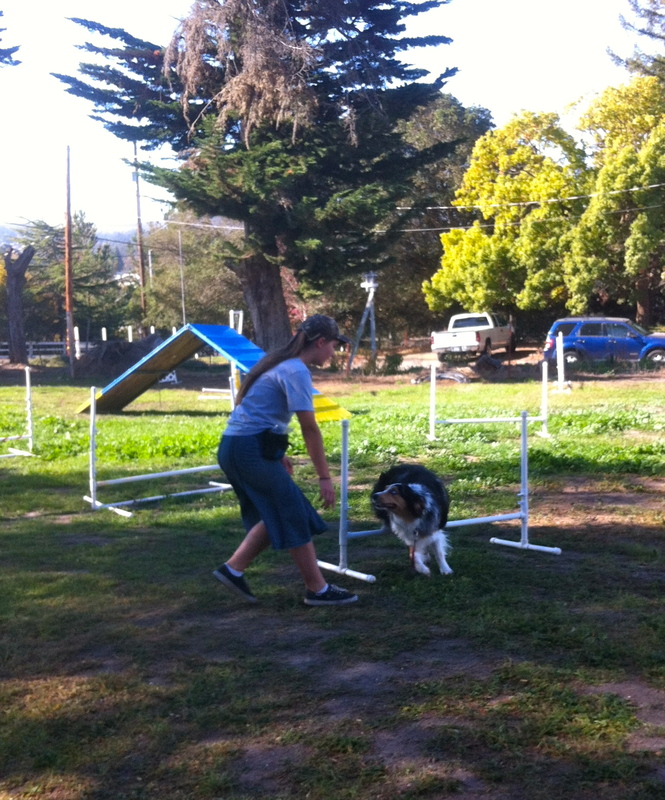 These are some pictures from Natalie & Marley's in a training session. Fun! These are the latest pictures of Marley and Natalie. They are doing great and they both love it. 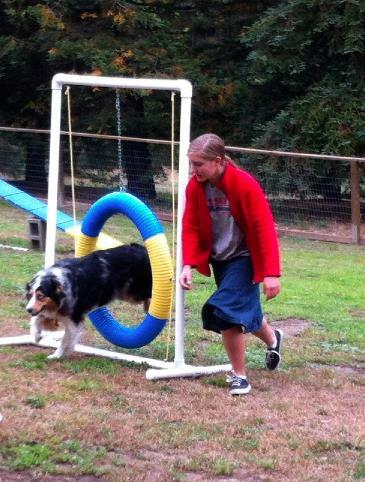 Keep posted on Natalie's agility camp she is going to host for beginning agility.